A former executive of a Singapore-based defense contracting firm was sentenced to 63 months in prison today for his participation in a fraud scheme that over-billed the U.S. Navy by more than $34 million for ship husbanding services. Assistant Attorney General Leslie R. Caldwell of the Justice Department’s Criminal Division, U.S. Attorney Laura E. Duffy of the Southern District of California, Special Agent in Charge Chris D. Hendrickson of the Defense Criminal Investigative Service’s (DCIS) Western Field Office and Director Andrew Traver of the Naval Criminal Investigative Service (NCIS) made the announcement. Alex Wisidagama, 42, of Singapore, the former global manager for government contracts of Glenn Defense Marine Asia (GDMA), was sentenced today by U.S. District Judge Janis L. Sammartino of the Southern District of California. In addition to imposing the prison term, Judge Sammartino ordered Wisidagama to pay $34.8 million in restitution to the Navy. In March 2014, Wisidagama pleaded guilty to one count of conspiracy to submit false claims for payment. He is the third defendant to be sentenced in a massive fraud and corruption scheme involving GDMA, which provided port services to U.S. Navy ships in the Asia-Pacific region. According to admissions made as part of his plea agreement, Wisidagama and his cousin, GDMA CEO Leonard Glenn Francis, 51, of Malaysia, perpetrated a scheme to defraud the U.S. Navy on ship husbanding contracts by, among other things, over-billing for the sale of goods, fuel and port tariffs. Records show that GDMA’s contracts with the U.S. Navy allowed it to sell certain categories of supplies for which GDMA was the lowest bidder. To make it appear that GDMA’s prices were competitive, Wisidagama and others created false price quotations purporting to be from third-party vendors and submitted them to the U.S. Navy, he admitted. Because the contracts forbade GDMA from making up the price of fuel that it supplied to U.S. Navy ships, Wisidagama admitted that he and his conspirators created false invoices purporting to show that GDMA paid more to purchase fuel than was actually the case, which allowed GDMA to build undisclosed markups into the prices at which it supplied fuel to the U.S. Navy. According to the plea, GDMA inflated the cost of port tariff expenses that it passed on to GDMA, despite the fact that the contracts did not allow GDMA to mark up these items. Wisidagama admitted that in October 2011, GDMA charged the U.S. Navy $2,739,351.49 to service the USS Mustin during a port visit to Thailand, $1,593,766.75 of the charges were fraudulent. Wisidagama admitted that the scheme caused more $34 million in total losses to the U.S. Navy. 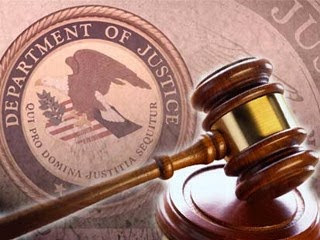 To date, 10 individuals have been charged in connection with this scheme; of those, nine have pleaded guilty, including Malaki, Commander Michael Vannak Khem Misiewicz, Captain Daniel Dusek, NCIS Special Agent John Beliveau, Commander Jose Luis Sanchez and U.S. Navy Petty Officer First Class Dan Layug. Former Department of Defense (DoD) civilian employee Paul Simpkins awaits trial. On Jan. 21, 2016, Layug was sentenced to 27 months in prison and a $15,000 fine; and on Jan. 29, 2016, Malaki was sentenced to 40 months in prison and to pay $15,000 in restitution to the Navy and a $15,000 fine; the others await sentencing. NCIS, DCIS and the Defense Contract Audit Agency are conducting the ongoing investigation. Assistant Chief Brian R. Young of the Criminal Division’s Fraud Section and Assistant U.S. Attorney Mark W. Pletcher of the Southern District of California are prosecuting the case. Those with information relating to fraud, corruption or waste in government contracting should contact the NCIS anonymous tip line at www.ncis.navy.mil or the DoD Hotline at www.dodig.mil/hotline or call (800) 424-9098.